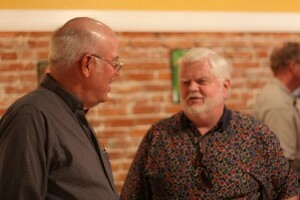 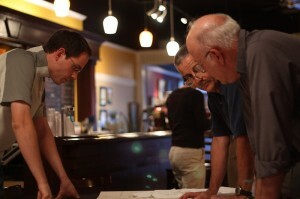 Cliff Bates (far right) sharing story of the trail at an event in 2009. Hear Cliff talk about the Save the Riverfront Committee. Land Trust grew from the Save the Riverfront Committee. 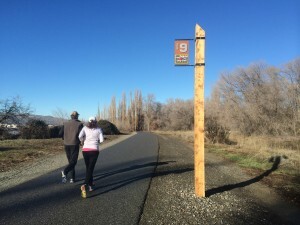 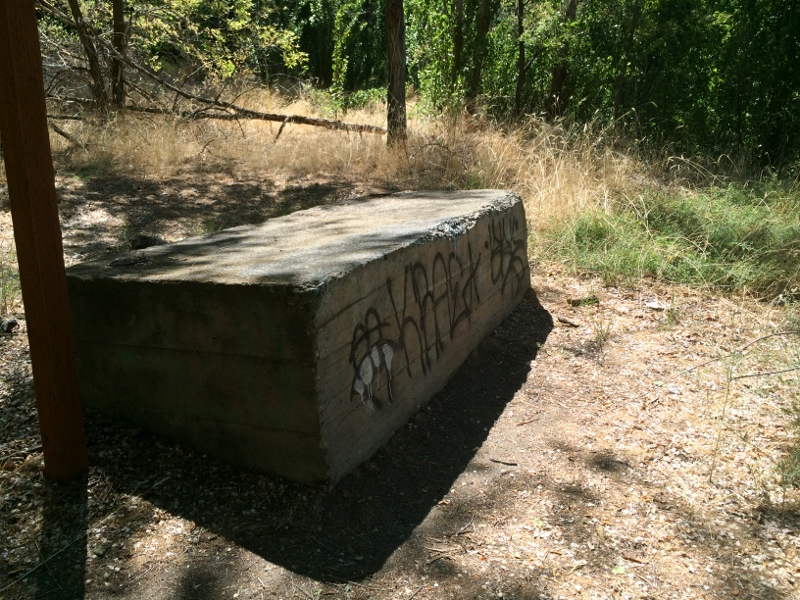 See the Apple Capital Loop Trail timeline. 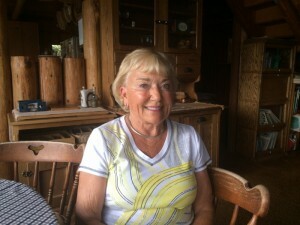 Hear Peter Ringsrud describe the ferry that connected the communities. 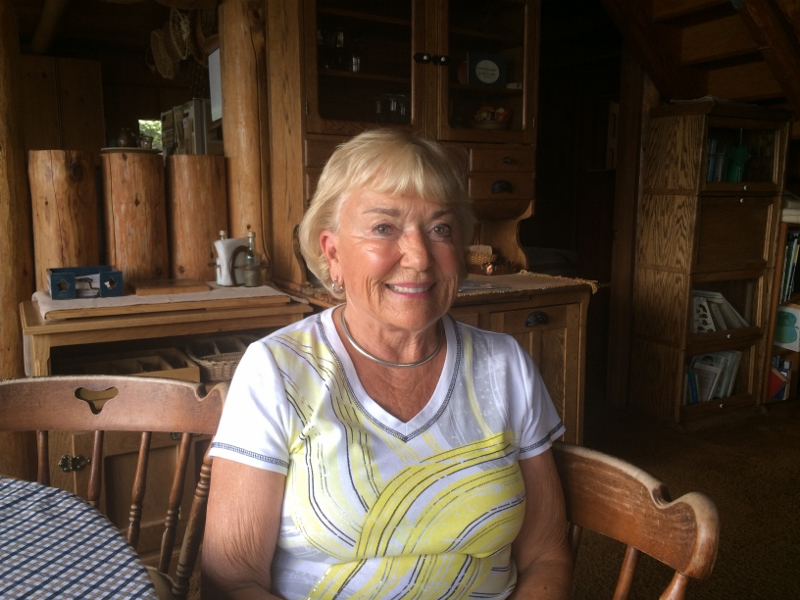 Rudi Pauly and her family have been in the orchard business since the 1950s. Hear Rudi describe early orcharding practices in the Wenatchee Valley. 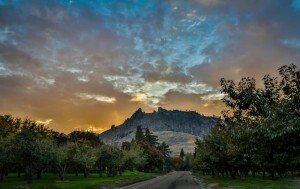 You know you’re in the Wenatchee Valley when you see Saddlerock. 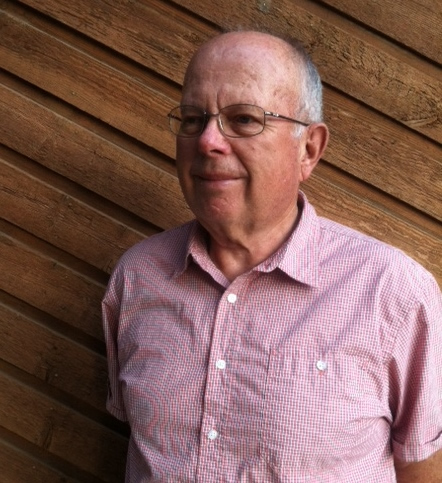 Hear geologist Ralph Dawes describe the origins of Saddlerock. 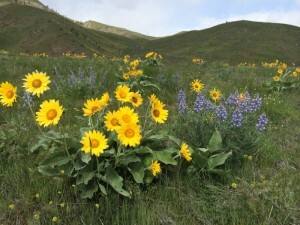 Learn about the Chelan Douglas Land Trust. 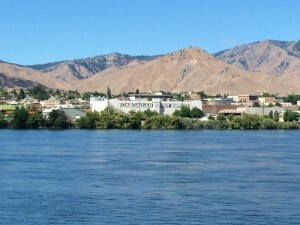 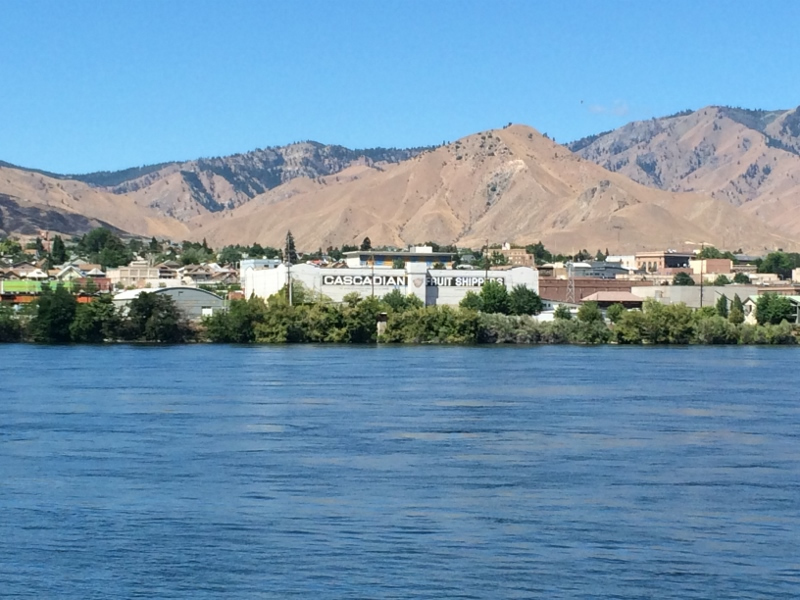 Learn about the Wenatchee Valey Chamber of Commerce.